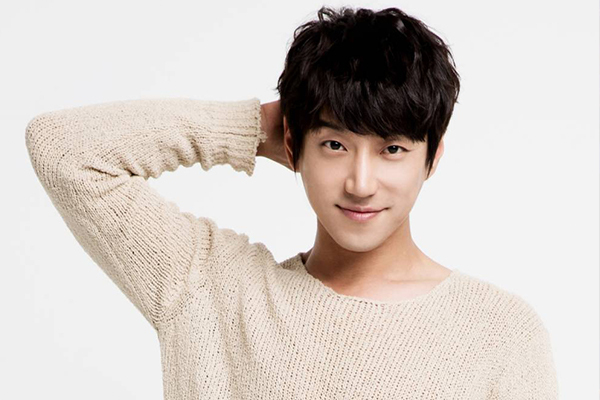 He just visited Malaysia earlier this year, and now within the same year, South Korean singer Hwang Chi-yeul is coming to perform in the country again at the upcoming Rock the Moon concert. Taking place next month at Cheras Leisure Mall, the concert will also feature an array of local artistes including pop duo Thomas Jack, actress Crystal Lee, rising singer Jie Ying Tha, “Sing China” finalist Jeryl Lee, “Astro Star Quest 2014” champion Uriah See and dance group CLM ALLSTAR. The concert is held in conjunction with the mid-autumn festival a.k.a the mooncake festival which is celebrated in 70s-style at Cheras Leisure Mall from today onwards, until 7 October 2017. 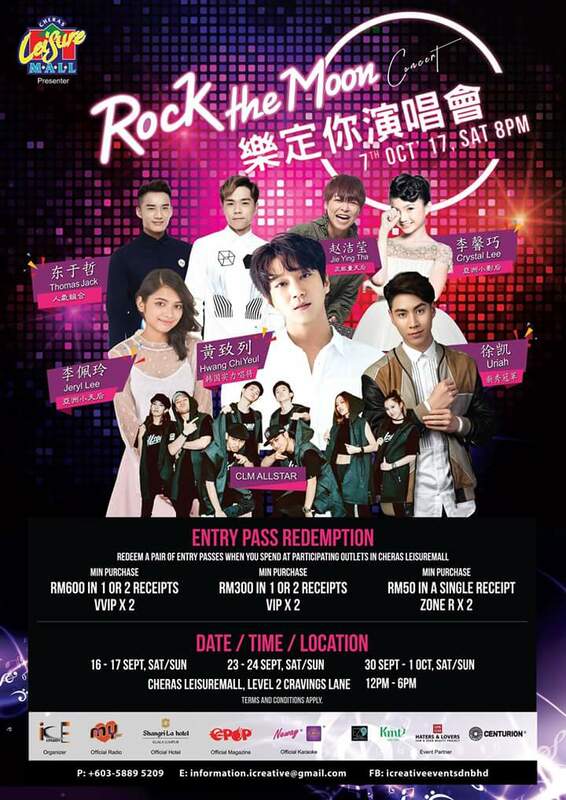 The heart-warming festival will be wrapped by the Rock the Moon concert on the night of 7 October, featuring the star-studded line-up of abovementioned entertainers! Members of the public can get a pair of entry passes and be part of the concert by shopping at the participating outlets in Cheras Leisure Mall starting from 11 September 2017. VVIP passes are redeemable with a minimum of RM600 spent in a maximum of two accumulated receipts, VIP passes are redeemable with a minimum of RM300 spent in a maximum of two accumulated receipts, while Zone R passes are redeemable with a minimum of RM50 spent in a single receipt. The passes are redeemable from 16 September until 1 October (weekends only), from 12pm to 6pm at Level 2 Cravings Lane in Cheras Leisure Mall. The entry passes are available on a first-come first-serve basis, while stocks last. The list of participating outlets can be found HERE. Best of luck!